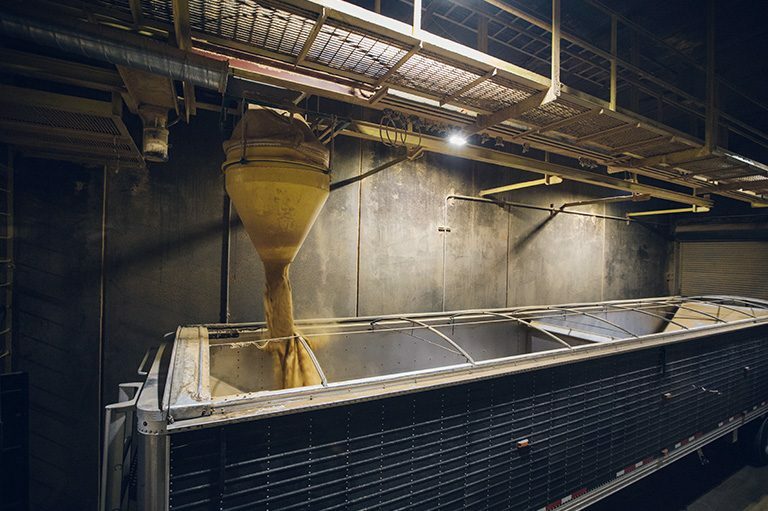 Distillers grain is a co-product of our ethanol production process. They’re high in protein and fiber, which makes for ideal livestock feed. 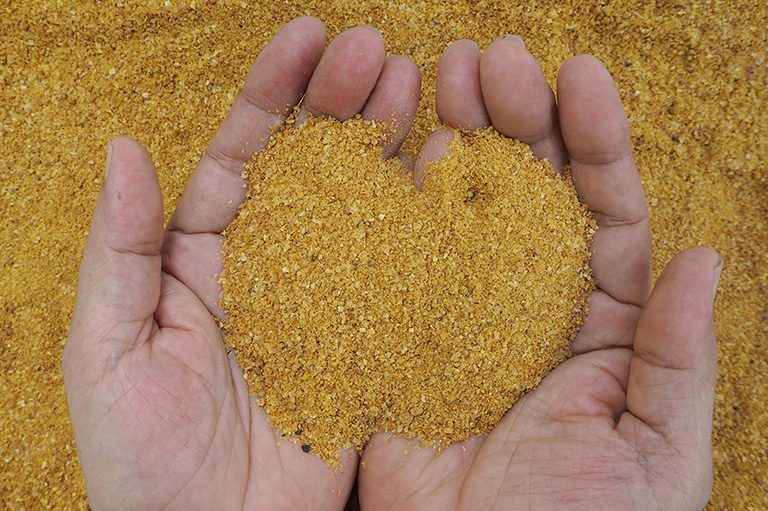 The distillers grain is the final product we produce with our corn – nothing goes to waste. DDGS is the remaining dry by-product after corn is fermented to produce ethanol. Drying the distillers grain increases the shelf life and the distance it can be transported. WDGS (also known as wetcake) is consumed mainly by cattle and has a high energy concentration. WDGS adheres well to dry particles of other feeds, increasing palatability. 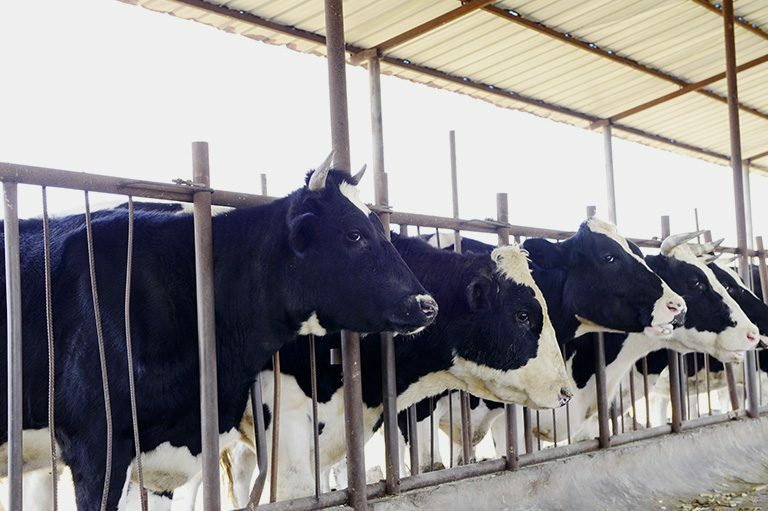 The moisture of the product can reduce diet sorting when fed to cows. Our distillers grain is fed to dairy cows in Wisconsin and exported around the world. Contact our Distillers Grain Sales Team for details on purchasing.